How would you rate your experience with OfferUp ? 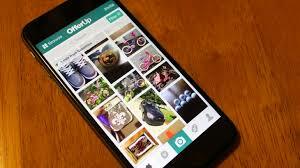 OfferUp was launched in July of 2013 by friends Nick Huzar and Arean van Veelen in Seattle, Washington. After realizing that they both had many items that they no longer needed or rarely used. Rather than pay a storage fee, the pair decided to start their own business which lists local items for sale to potential buyers in the area. The company is similar to Craigslist, other than it relies on a smartphone app, rather than a website. Clients take a picture with their phone and list the item using the app. Potential buyers locate items in their neighborhood and contact the seller. The website has become very popular in a short period of time, with statistics showing that an average person spends as much as 25 minutes a day browsing items. This is as long as many people spend on Instagram each day. The company raised $39 million in 2017 and is looking to raise another $111 million to compete with eBay and Craigslist. OfferUp has far exceeded eBay in its first few years in terms of growth, with 42 million users. Company headquarters are located in Bellevue, Washington. Question 1: What is the phone number for OfferUp? Answer 1: The phone number for OfferUp is (844) 633-3787. Question 2: Who is the CEO of OfferUp? Answer 2: The CEO of OfferUp is Nick Huzar . Question 3: Who founded OfferUp? Answer 3: OfferUp was founded by Nick Huzar and Arean van Veelen in 2013. In my very limited interactions with offerup (one buying experience), I have been forced into the realization that this company has zero respect for their customer base. I was looking to buy a rare video game, and found one for sale on offer up. It was expensive and I decided to go through with the purchase because they claim to have a buyer protection policy. So I thought if anything went wrong I would be protected. I have never been so wrong. The game arrived and right away I realized that it was a pirated or counterfeit replica. Offer up claims to have a three day period after your purchase arrives that you can dispute or approve of your purchase. I immediately submitted a buyer protection claim and attempted to return the game and get a refund. All of my requests have been denied because “Genesis”, who is an offerup “payment specialist” says that I missed one word in the listing description that said “repro” which I know now is short for reproduction. Trust me it wasn’t that obvious and the seller knew what he was doing by not entering the whole word into the listing. So the moral of the story is that offer up is not willing to take care of their customers even when they are sold illegal/pirated copies of video game discs. Additionally, offer up is in the business of promoting these sellers and is OK with helping to distribute this illegal content. I am currently filing a report with the BSA software alliance and the Better Business Bureau. I am recommending to all of my social media followers, friends and relatives that they stay far far away from this platform. They are everything that is wrong with buying and selling online. They are absolutely awful and I feel so taken advantage of. I have had two shipments now that after the shipment was shipped and received, I receive a message saying the purchase was canceled and I am free to offer my product for sale. I haven’t been paid for either of them. It’s impossible to get ahold of anyone and the issue was not addressed when I reported via the app. Seems like OfferUp has become another new place and way for individuals to scam us. Or OfferUp has become a scam. Exactly what ive been dealing with…we should seriously start a class action against them…its happened all too many times but this last time they are refusing to pay me even though the buyer has confirmed delivery…they have since blocked me from being able to contact the customer service by email or the contact us link on the app…do you know if anybody has tried starting a class action lawsuit yet? I’ve been emailing offer up for 3 days now I never received a shipping label for a accepted offer?? I need to get this shipped out ASAP please help. Hello,My name is Luxanna and I am a Senior Payments Specialist for OfferUp. We do not honor transactions that take place outside of OfferUp, and that includes using shipping labels that are not created by us. In the future, to ensure you will get your funds please make sure to use the shipping label we provide. As a one time exception, we have located the transaction and have put in a request to disburse your funds manually which should take 2-4 business days. From there it can take 3 to 5 business days for the money to show up in your account depending on your bank. Hello,We can see at this time that the request to manually disburse your funds was submitted however it is taking longer than expected due to a backlog we are experiencing with growth of the company. Please give a few more business days to disburse the funds manually. Please know as well that we have this transaction documented to ensure that we disburse funds to you. I have a complaint about offer up funds owed to me $101.36. It has been 44 days I have not been paid. My item was shipped and delivered to the buyer in January 8th. I have contacted offer up, and they are giving me the running around. Offer up made their share of 7.9% Now I want my money now. I am about to seek legal action and talk to the media about offer up treatment to sellers and buyers especially me being the seller. I’m with you guys on the class action lawsuit let’s get this scamming system shut down and get what we are owed!!! OfferUp and seller , please let me know how you wants to take care this situation because Apple called out it is not a good item, if buyer can’t activate it which mean it is stolen or seller did not remove or still Protected this watch under their account. Seller did accept that he can return this watch and told me to give me a day to send me return label, It’s been three days and I did not receive any update. 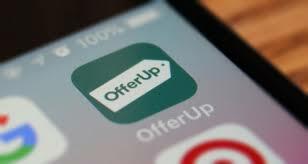 I have send multi pal email “OfferUp Support Request: 32979741” and send all evidence and document which is telling us that seller items are not legal. Please return by found and do not transfer it to seller amount, this product is not legal and counterfeit or stolen. Here is another response from Apple support.. Does it say that Watch is connected to different Apple ID? Your safest bet is to return the watch and demand a refund. Since it is a stolen by seller and it is apple locked , offerup should take some action against the seller. Before I buy this watch, seller did acknowledge that apple watch is unlock by apple system but seller lie .Since Apple Watch is locked by seller , I (”buyer”_ can’t authorize this transaction. OFFER UP SUPPORT, Please assist, i have sent number of email and i can’t even call offer up via phone which is bad. I’m having the same problem customer support is a joke they never fix anything my account was block for giving out my phone number I’m private message. ello, my name is Alex Avila.. I writing to see who can please help me about getting a refund.. I purchased the shoes on the 6, of January 2018 and I received in January 10 I believe.. as soon as I open up the box I noticed that there are counterfeit shoes replicas .. I contacted the offer up (contact us) this app and file my claim..Yet nobody has contacted me yet.. so what is the next step as far as getting my refund or sending the shoes back and receiving my money back..Transaction number 1223834.. thank you for your time hopefully I hear back soon from someone that can really help me, since you offer up app doesn’t not have a actual contact phone ..This is becoming a very frustrating situation.. I am not able to sell anything, I am unable to buy, communicate with other sellers or members. I have had this issue for over six months now and no one has provided me with any information or assistance. I have exhausted all available options through the app. I must speak with a representative to get an explanation of why my account is not active. I have NEVER deactivated it or done anything illegal. I am demanding an explanation as I do not understand or have been informed of anything. firstmate3@ comcast.net. Very disappointed in your help support system. I sent many request for help because every time I tried to purchase an item through your new payment system it would approve it than get denied by my credit card do to fraudulent acts. I tried at least 5 times and expressed my frustrations. I sent you all the responses from your transactions and why my credit card cancelled the order. If you go back and look at everything I sent you will see why I am so upset. I too sold an item and shipped it out and sti have not been paid. They claim they are working on it. Well i was supposed to have my money 2 weeks ago. I think ill call thr State of Washington and file a police report and a law suit here locally. They are thieves and the only thing the are working on is STEALING PEOPLES MONEY. I PREFER TO HAVE THR BUYER HA E THEIR MONEY BACK THEN OFFER UP HAVE IT. I THINK I WILL HAVE THE SELLER REVOKE HIS PAYMENT. My Son Sold His VR Headst on Offer up a Month ago. The Person who bought it Paid – But no Money has been deposited in His account. I write every day – all I get are responses saying “Your request has been forwarded to a payment Specialist”. FOR A MONTH! I have given my e-mail address – My Phone number, requested to be contacted, requested that the headset be returned, NOTHING! YOU are a LYING BUNCH OF THIEVES! How Can This be legal? JUST CREDIT THE ACCOUNT ALREADY! ATTENTION NICK HUZAR, Offer up is great only you slander the name you created when you let businesses and people who aren’t willing to except LESS than they posted, advertise on there. We the people use your site because its a refreshing break from retail to be able to haggle for our goods and when businesses show up on the site with 200 area rugs let’s say and wants 99.99 for everyone we might as well be standing at the door step of their business with are trousers down around our ankles. You created this site make it stay true to its name. I bet you run a pole and you’ll find out most of the users of your site feel this way. But I must apologize for wasting your time a lightbulb just came on some of the businesses that post also pay you to advertise and that’s how you pay your mortgage and for your Ferarri. So sorry to waste ur time carry on sir. Marvin go to your primary care physician, explain to him what the problem is and you’ll probably leave with a prescription for Viagra. Gentlemen: To whom it may concern! We appeal to you with a proposal for cooperation in the creation of a mathematical model of speech, that is, of the system of building natural languages. The presence of such a mathematical model forms a tool for free operating by natural language statements, i.e. phrases for programming. Accordingly, it will be used instead of the “mathematical logic” practiced to create computer programs, which is extremely conditional and limited in its capabilities. The use of mathematical models of speech as the basis of programming can significantly improve the efficiency of computer programs development, as well as to expand the possibilities of search processes and language translations. The achievement of these goals clearly expands the financial prospects. The structure of speech, that is, the system of construction and ways of functioning of natural languages, were ancient mysteries, and many scientific institutions still promise to solve them. However, the results of their research are still limited to making word formations and creation of artificial schemes based on traditional (formal logic). For example, the Institute for logic, language and computation of the University of Amsterdam has been trying to solve these problems since 1991. After years of research Leonid Girik has managed to identify a system of logical forms and semantic relations, on which the unity of their forms and content of speech are based. He also discovered which logical forms of expression create narrative speech and which express very reasoning. The semantic system of utterances, which is formed in natural languages, is based on general laws and ensures the functioning of speech and speech thinking, is called by the author natural logic and presented in the monograph “Natural logic”, published in Russian (the volume of the book was 583 P.). New knowledge of natural logic, which is actually used by all, always and everywhere, can be applied in many areas of science and practice. In order to use them for creation of the mathematical model of speech, suitable to replace the existing “mathematical logic” with the effect of a new level of scientific and practical results, requires funding of the development team. It should be assumed that the implementation of this task for about two years will require constant work (team of specialists). The composition of such a team should include: logic-expert, who creatively possesses knowledge of natural logic, six mathematicians who know the theory of mathematics and computer science and organizer with the analytical ability. At the same time, it is necessary to use four translators, as well as two dozen philologists with certain practical skills on temporary contracts. Accordingly, are necessary the appropriate conditions for the creative part of the team, and a minimum of technical personnel, and the involvement of consultants on individual issues. Creating a mathematical model of speech will help to achieve not only a much more efficient use of computer technology, but also to create more efficient operating systems and applications, including mobile web applications. Based on the above, we believe it is possible to offer you mutually beneficial cooperation in the application of discoveries and developments in the field of natural logic and Analytics as a method and techniques of performing these tasks. Providing having an interest in realizing these opportunities in your business using the methods and techniques we have created, we are waiting for a response within a month. I posted handmade baby items made from fabric I purchased at Joanns. I was told I could not post these items because of copyrighting. Joanns purchased the copyrights to these fabrics. And I as a crafter have the rights to make our crafts and sell. I was told by my copyright attorney just now here at my company that ” our products crafted from NFL copyrighted fabrics, and are not associated or affiliated with the NFL. therefore I have the right to sell my crafts on Offerup or other websites and I am not breaking any copyrighted laws. So why was my post removed?. I sold a few things and shipped the items, the customer are happy with their purchase, But it’s been more than a month and Offer Up has NOT release/deposited my money. I’ve been emailing help/support and nothing. No money, just a bunch of replies that someone will fix it. I have an idea new marketing idea for your app. Can I have someone from New product development or Marketing reach out to me? Once I gain the contact, I will then pitch my idea. I hope to hear back from you. Offer up is famous for people scamming other people. these bogus adds of people posting cars in every city asking for emails addresses in return and trying to scam people out of money is ludicrous!! If offer up such a great company why can’t they take these postings down when their flag constantly. And then when you get a email in return thanking you for flagging and then no one ever follows up on it. And good luck trying to find contact information to actually talk to human at offer up it doesn’t exist!!! I personally think offer up is liable for a class-action lawsuit with these scammers. Offerup account I think is lacquered because when I put sales items I can not sell please I need to fix my account and I need to talk to her. Hello, my name is TashaMarie Schuster and I live in Virginia Beach, Virginia. I have been a member on and off for two years now. I think this site is brilliant!! It has been an amazing experience. Request #11234: How would you rate the support you received? Hello, my name is TashaMarie Schuster and I live in Virginia Beach, Virginia. I have been a member on and off for two years now. I think this site is brilliant!! It has been an amazing experience. Started off as a hobby but quickly developed into a part time job. I have three, now grown children that have left my home to begin theirs, so I am left with a 2500 sq ft, five bedroom house filled with items I no longer have use for especially because I am down sizing. However, recently that all came to a hault and I have no idea why? I can no longer communicate through messaging with anyone on OfferUp. I can view all items posted on OfferUp, I can post items to sell on OfferUp, but I cannot receive messages or offers nor can I send messages or offers to people on OfferUp. It seems like I am blocked?! I have shut down and changed e-mails and passwords. I have deleted and reinstated my OfferUp membership, I have even slicked my tablet back to factory setting to reset everything and nothing seems to work which makes me believe I’ve been blocked on OfferUp’s end. I have been trying to get a hold of customer service for about a week about the issue at hand but get no response about it, just that they received my e-mail and will look into it. I’ve sent out about six or seven e-mails to technical support and no one has yet to respond. If I did something wrong or against policy and procedures, why hasn’t anyone put me on notice about it? Have I been suspended for something? Can someone please answer me? Want to make sure OfferUp sees your comment or complaint?